The Incredibles 2 Movie In Theatres June 15 & Advance Movie Screening Tickets Giveaway! In Theatres June 15, 2018! 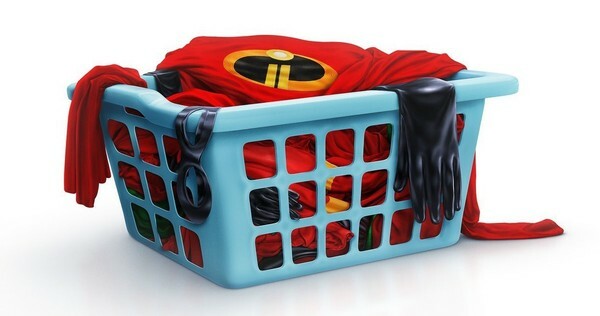 Has it really been 14 years since Disney Pixar's The Incredibles was launched? It seems like we've been waiting forever! Disney Pixar films include some of my favourite ones, including the Cars franchise, Up, Monsters Inc, Finding Nemo, Ratatouille and Brave. One of the reasons I love Disney Pixar films, is that they're enjoyable for me to watch as a parent--not only something that has to be endured. Now with The Incredibles Two being launched this month, I have great expectations--actually huge expectations. With a wait as long as I've survived, I'm expecting a spectacular film--a film to rival the incredible The Incredibles movie of 2004. And are my expectations unrealistic, given the gargantuan wait? The Incredibles Are Back In Action! My logic is simple: the longer the wait, the longer Disney Pixar has had to work on storyline, the animation, voice acting, etc. 14 years is a long time to get it right. If it was unclear whatsoever, I'm expecting The Incredibles 2 to be a masterpiece to rival all Disney Pixar masterpieces! I'll have to wait till June 15th, however, to see if my expectations align with the actual The Incredibles 2 movie. How do you anticipate the movie will be? Check The Incredibles 2 movie trailer, below to weigh in! 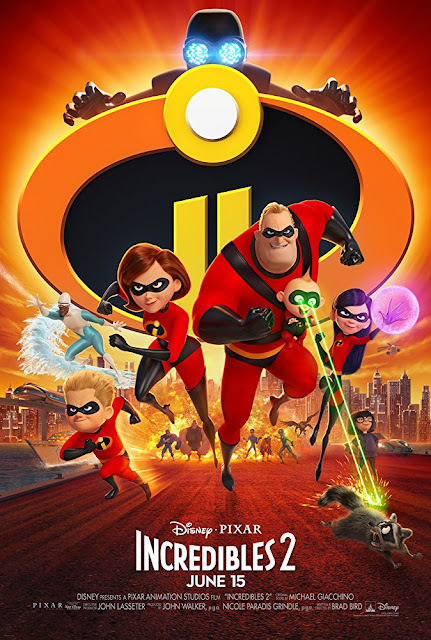 "In Incredibles 2, Helen (voiced by Holly Hunter) is called on to lead a campaign to bring Supers back, while Bob (voice of Craig T. Nelson) navigates the day-to-day heroics of “normal” life at home with Violet (voice of Sarah Vowell), Dash (voice of Huck Milner) and baby Jack-Jack—whose super powers are about to be discovered. Their mission is derailed, however, when a new villain emerges with a brilliant and dangerous plot that threatens everything. But the Parrs don’t shy away from a challenge, especially with Frozone (voice of Samuel L. Jackson) by their side. That’s what makes this family so Incredible." WIN family movie passes (admit 4) to The Incredibles 2 advance movie screening on Wednesday June 13, 2018 (7:00pm)! 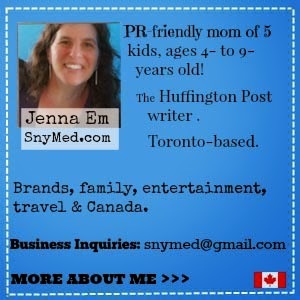 Family passes are being given away in the following Canadian cities: Toronto, Vancouver, Calgary & Edmonton. Leave a COMMENT below stating what super power you'd love to have. Then, use the entry form below to enter the contest. Contest closes on Monday June 11th, so be sure to check your e-mail that night or the next morning to see if you're a winner! My son would love the super power of flight. He would love to fly. He would love to see Incredibles 2 in Toronto. I would love to fly!!!! that would be so cool! I'd love to have the power of invisibility !! Whatever power that C&C Music Factory sang about. I'D LIKE TO PREDICT THE FUTURE! Ability to hear people’s thoughts!!! I'd like to have invisibility as my super power! I'd most want the super power of invisibility! I'd love the ability to fly. I’d want to have the ability to fly. I have family members all over the world that I haven’t seen for at least 2 decades. Would love to be able to visit them all. To be invisible would be great. Mind reader would be my pick. I'd love to be able to fly. I want to have the superpower that whatever place I have in my mind, I can be there in 2 seconds!